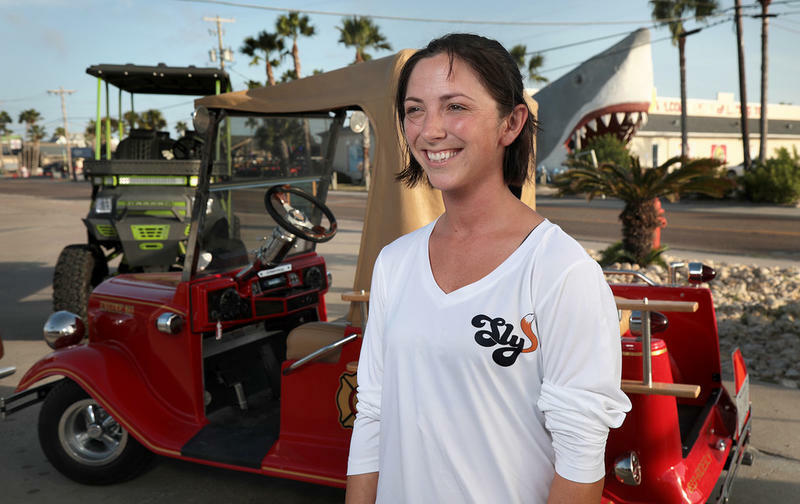 Rachelle McCan owns Sly Customs, the latest entrant into Port Aransas' golf cart rental business. 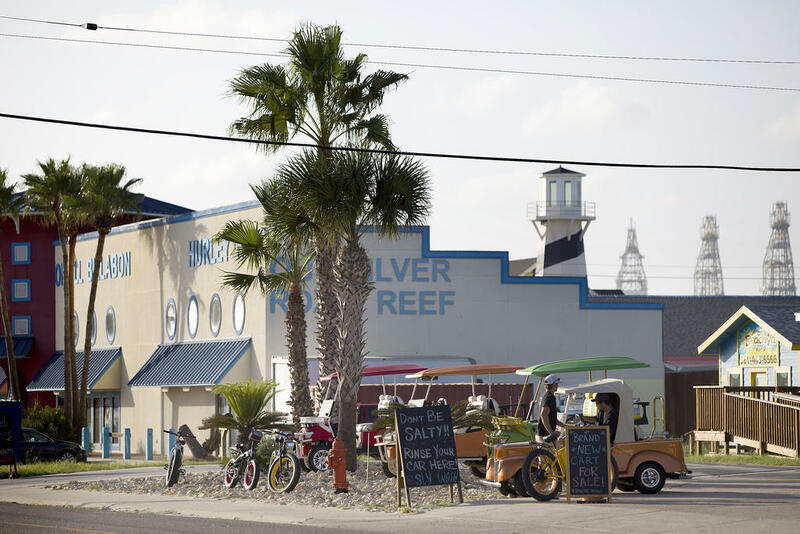 Port Aransas was built on a carefree lifestyle – the idea that you could leave the daily grind behind for the island life. Hurricane Harvey washed away that image for those who live and work there. Carefree days turned into a grind of insurance entanglements, contractor delays, ferry lines and worry after worry. But with every storm there's opportunity. Her company is the latest – and perhaps splashiest – entrant into Port Aransas’ ever-growing golf cart rental business. She and her husband, Kelby McCan, opened the business this summer, along with a car wash, an ice cream shop and an auto/RV/airplane detailing shop – all on what used to be a self-service car wash.
McCan cut her teeth in the golf cart game after leaving Texas State University and moving to the island. Sly Customs offers everything from little hot-rod golf carts to tricked-out monster eight-seaters. These aren’t your dad’s golf carts. These are tricked-out carts that might never be allowed on a golf course. Sly Customs offers built-in coolers and soundsystems and a distinctive look to each golf cart. The company is a dealer for Streetrod Golf Cars. You can buy a customized cart, or you can rent from McCan’s fleet of 24. 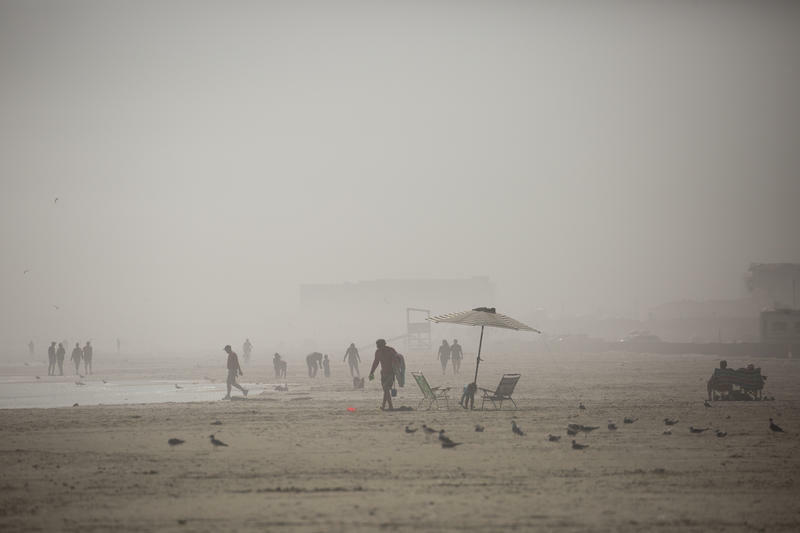 Of the $400 million tourism industry in Port Aransas, golf carts account for 10 percent of it. Bron’s had around 200 carts before the storm. This season, it has less than half that number, but business it still brisk. 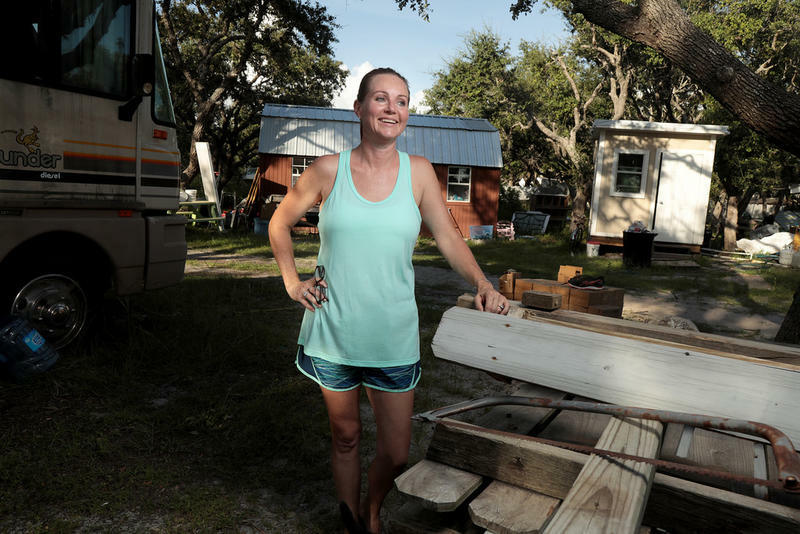 “Even this summer we were kind of worried because of Harvey and everything, but we still had enough business on the island where if you drive around on a Friday or a Saturday, everyone that has a golf cart company, they’re all out,” McCan said. Her relaxed demeanor belies the responsibilities she has taken on. In addition to the three businesses, she has a 16-month-old daughter. Of course, her husband helps - when he can. “It’s a pretty busy lifestyle for us and I’m lucky when he’s home,” she said. Kelby McCan, an Air Force veteran, now works as a civilian defense contractor six weeks at a time across Northwest Africa. She seems to stress only slightly when pressed about the condition of her own house after last year’s storm. The Port Aransas Chamber of Commerce and Tourist Bureau has a message for you: The city and its beaches are open for business. Hurricane Harvey walloped the area just six months ago, so why the rush? 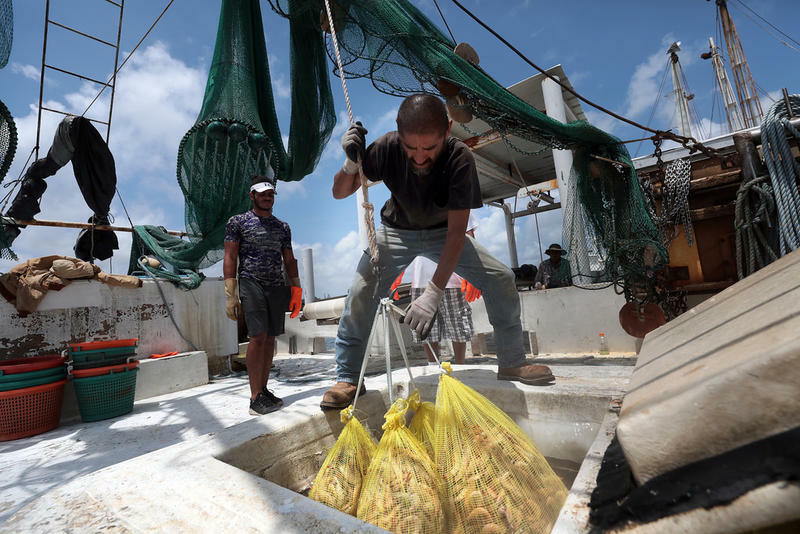 Hurricane Harvey took a big whack to the shrimp industry's bottom line in Texas, but the storm's legacy may be what it did to the smallest shrimpers on the Coastal Bend. Hurricane Harvey hit the Texas coast one year ago this Saturday. Rockport took the brunt of the storm’s high-speed winds and tornadoes that spun off as it moved inland. As the city picked up the pieces, one woman decided to help anyone and everyone she could.